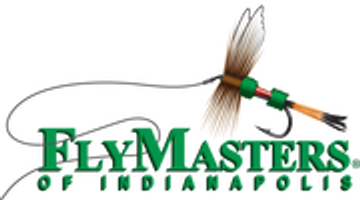 We have folks come into the shop all the time asking where do you fly fish in Indiana? Believe it or not you can catch many different species of fish within 1 to 3 hours of Indianapolis. Smallmouth Bass, Largemouth Bass, White Bass, Hybrid Bass, Striped Bass, Steelhead, Salmon, Trout (Browns and Rainbows), Muskie, Northern Pike, Carp, and sunfish can all be caught on a fly rod! With just a little instruction you can begin to enjoy fly fishing for any of these species in no time at all. Our fly fishing school is a cut above the rest because we work around your busy schedule and make it convenient for you to learn. Our school offers an introduction to fly fishing, basic equipment, casting techniques, playing and landing fish. The school is divided into three convenient phases to allow you to gain the most out of each session. We start our school when there is still snow on the ground. Phase one of our school is in the shop so we can start people on their way to learning how to fly fish early in the season. Phases two and three are usually on an individual basis, arranged around your schedule. Sessions will very in length from one to three hours. It is best to have your own equipment, but equipment is available for use. The cost for the entire school is $100.00 per person. Upon completion of the school you should have the basic skills to start to enjoy the sport and art of fly fishing. If our fly fishing school does not work for you we also offer a number of other fly fishing classes that might fit your needs better. The Instructor is very personable and very knowledgeable.